In his Budget statement of 20th March 2013, Chancellor George Osborne announced basic details of the new Help to Buy scheme to be introduced by the Government to provide extra support for home ownership. The Government has introduced a Help to Buy mortgage guarantee scheme to assist those with small deposits looking to purchase both new and existing properties. The Help to Buy mortgage guarantee scheme will increase the supply of higher loan to value mortgages by providing a Government guarantee to lenders who wish to offer mortgages of between 80% and 95% loan to value. The scheme will run for three years from October 2013. The Help to Buy mortgage guarantee scheme will be targeted to support £130 billion of higher loan to value mortgages. We are taking Help to Buy 95% mortgage applications now. From April 1st 2013 the Help to Buy scheme will provide an equity loan of up to 20% of the purchase price of a new build property. The Help to Buy loan will be repayable once the property is sold. Maximum home value is £600,000. The Help to Buy equity scheme cannot be used on properties other than selected newly built homes, nor for buy to let, or second home investment. The Help to Buy scheme is to be open for three years, and the Government hopes it will boost the construction sector and help 74,000 to move up the housing ladder. 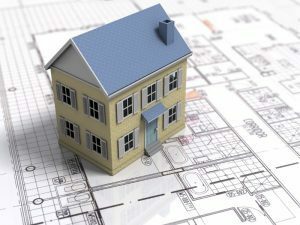 It is important to note that these schemes are designed to help the sale of newly built properties and encourage lenders to offer higher loan to value mortgages. They are not designed to assist those who would not otherwise qualify for a mortgage. Therefore a clean credit history is essential as is an ability to prove income sufficient to support the lending.